I'm not sure I understand. We don't have license keys for 1Password 7, what exactly are you seeing? 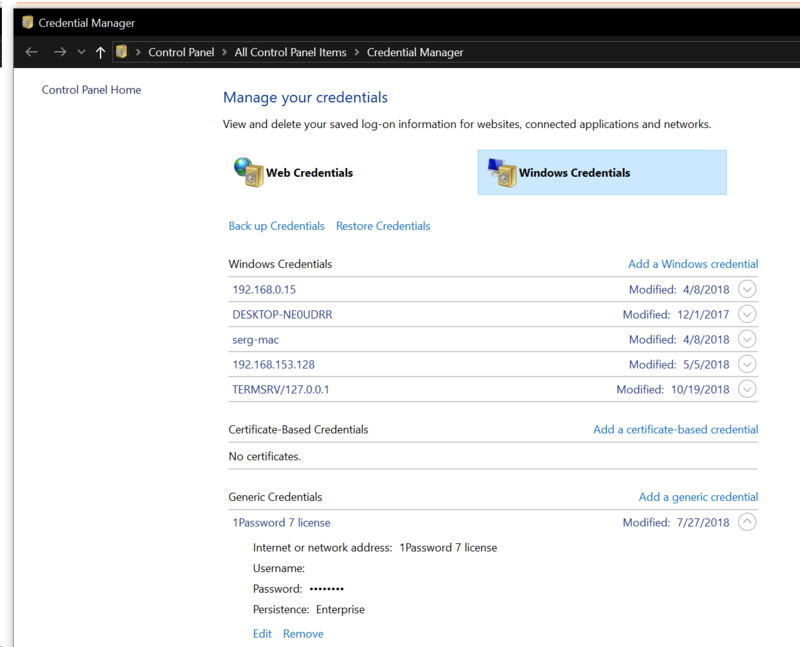 Note that the license is installed into your Windows Credentials, are you using anything that resets Windows' credentials database? I don't believe I'm resetting the credentials database, what would do that? I have no idea, you're the first and only user that is reporting this. Is this a work computer where they may reset the profile every once in a while? @burn123 license is stored inside Credentials Manager > Windows Credentials > 1Password 7 license. If you are suddenly in need to reenter it, I'd expect this record be missing. I'll look for that being gone the next time it happens! Let us know what you find, @burn123!